Besides having an Instagram handle, anybody who owns the latest iPhone, a film camera and VSCO is loosely deemed a “photographer” now. All you have to do is aim, shoot, edit and post right? What sets a legit photographer apart from the amateur ones is a creative eye that only few posses. Not everyone can find a creative spin to a photo that has been shot multiple times by other photographers. Don’t get us started on amateur photographers ripping photos from other sites, editing them and claiming it as their own. 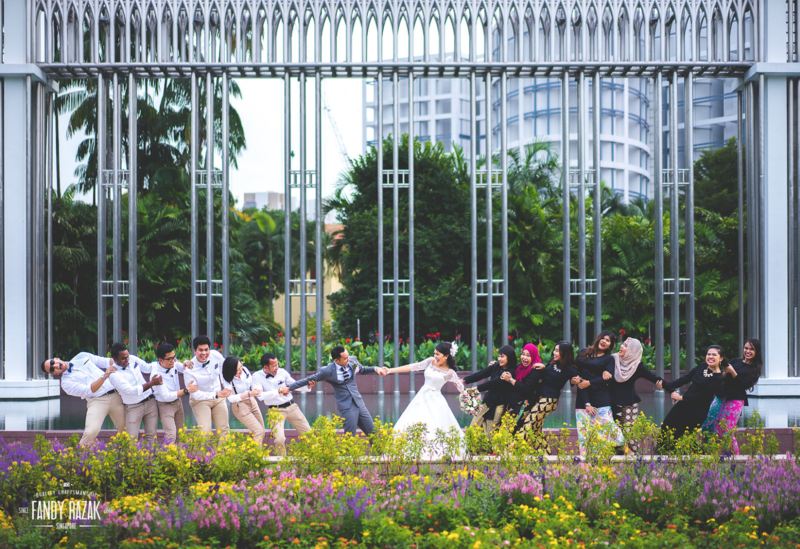 We sussed out some of the most talented photographers in Singapore that you should keep a look out for. See Singapore in a new light through the lenses of these talented photographers who are making a name for themselves on social media. Jayden Tan’s striking photographs will get heads turning for all the good reasons. His work first went viral in 2016 when he posted a series of 4 tongue-in-cheek portraits to celebrate National Day! The photographer’s “Char Bor” series was created to commemorate Singapore’s 51st Birthday. The series feature the same model reimagined as the various women of Singapore. I mean cmon, who would’ve thought to use chilli packets as earrings? He’s back again this year with a “Make Yishun Great Again” themed photoshoot. I mean just look at the amount of effort that goes into his work. Versatile and striking, there are plenty of reasons why you should be following Jayden’s work on Instagram. This the kind of quality content we should all sign up for! If you’ve seen Mura Masa – What If I Go MV, then you’ll be familiar with the Wiggle 3D Effect. The image of the subject is taken in a stereoscopic manner to give it a sense of depth. This effect is so popular that Tim has dedicated his entire Instagram to this Wiggle 3D Effect. If you’re familiar with film cameras, then you’ll realise his images gives off a very old school Fujifilm vibe. You’ll notice some familiar faces on his feed such as the gorgeous Malaysian singer, Yuna and Korean R&B prince, Dean. The Yusman’s are definitely the coolest duo in Singapore. Yes, they’re actual twins. When the #hypebeast #exploresg trend first kicked off on Instagram, these brothers were out and about exploring the entire Singapore for the sickest shots. Their Instagram feed is carefully curated with creative architecture shots and clever light play. A prominent feature in all of their photos would be their quirky subjects “hanging off” railings and “playing dead”. This is how Mondays feel like. Most of their shots are taken with an iPhone edited using apps such as VSCO. It’s hard to believe that some of the shots were taken in Singapore. Like wow damn really, is Singapore THAT beautiful? Khairul’s Hypebeast-esque aesthetic has garnered him a strong following in the photography scene. He is a self-taught photographer who delved into photography in late 2014 when he bought his first DSLR & iPhone. His Instagram account was also created around the same time was where he shared most of his work. Running out of tumblr quotes. In 2015, after working for 5 years as a marketing professional, he left the corporate world to pursue a full-time fashion diploma & focused on his photography which brought about attention from brands & secured him jobs. 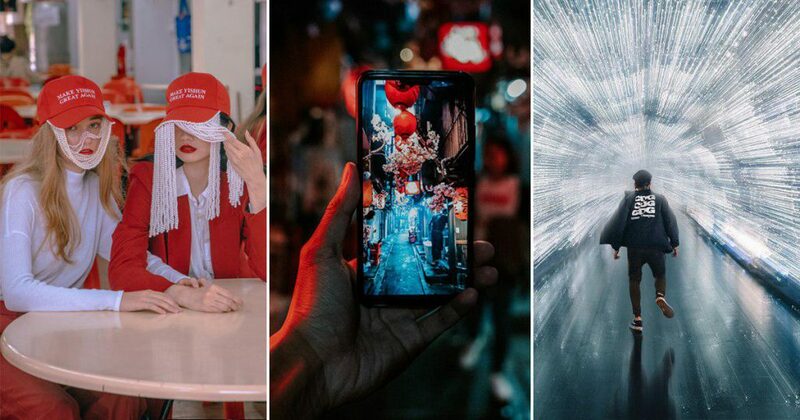 His photography skills are next level and it comes as no surprise that he is one of Sony’s go-to photographers in Singapore. Although not as known as other local photographers, A’s work is definitely a beauty. His photography projects are often the result of my encounters with the cycle of redevelopment in Singapore. He is also inspired by the work of photographers such as Aik Beng Chia, Robert Zhao Renhui, Daido Moriyama, Martin Parr and Sim Chi Yin. Did you know he published a photobook called “Ways Of Seeing” which you can get from Books Actually? With nearly 10, 000 public housing blocks spread throughout Singapore, “Ways of Seeing” is a collection of images that attempts to capture the aesthetic of look-out points and sight lines in and around such estates in Singapore. From colour coded void decks whose pillars seemingly repeat infinitely to the peonies, diamonds, moon gates and circles found in stairwells and lift lobbies, the architectural motifs found in public housing blocks in Singapore became our Ways of Seeing. You can get his book here. Fandy is mostly known for his wedding photography works and also for being the coolest skate dad to his two kids. On weekdays, he can be seen sending his two sons to and fro from school. On weekends, he’s busy photographing someone’s wedding. He’s known for coming up with the most creative wedding concepts for his clients. Asides wedding photography, Fandy also captures images of his family on their travels. Domo arigato. On to the next leg! Someone give this man a “Best Father Award” already. Yik Keat’s images pretty much sums up this photographer’s mad skills when it comes to producing breathtaking visuals. His saturated shots have garnered him a strong following base, so much so that Singapore’s Biggest Music Festival, ULTRA Singapore roped him in to be the event’s official photographer. For god’s sake, this dude even has his own Lightroom Presets which you can download. His work is giving us all the FEELS. Fashion photographer Lenne Chai captures stunning portraits and amazing fashion images. What sets her apart from other fashion photographers would definitely be her style that is a mixture of romantic and quirky. She also had her very own exhibition at this year’s Oh! Emerald Hill called “Salvation Made Simple”. This installation explores the ways in which spirituality has become commercialised to match our commercial world + erasure of native culture as a result of colonialism. If you love anything from portraits, streetwear and film vibes, then you have to check out Estelle’s work. One of her photos even received a even received a congratulatory thumbs up emoji from musician ASAP Rocky on Instagram . Estelle’s work is largely inspired by classic photographers such as Mary Ellen Mark and Diane Arbus. Over at Discover SG, we appreciate creativity and identity. Support your local creatives that put in hours to deliver original content from hard work. Let us know if there are other local photographers that we missed out!